I was in a school. Perhaps a high school or a college building. There were clearly classrooms. 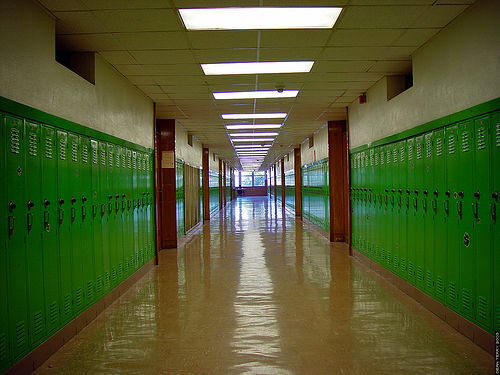 The hallways were long and winding, lined with trophy cases or bulletin boards. There was also a lot of activity. People around every corner, moving this way and that, chattering about an unintelligible range of subjects while attempting to find whatever destination they were seeking. And me? I was getting ready to perform. I had a classroom assigned to me, and I wanted to make sure that I was on time. My guitar was already set up in the room, and I wanted to impress the judges. What was I going to play for them? Which song would I pick? As it happened, I decided to play the song I've been working on during Lent. That seemed to be the clearest option; my best shot at winning whatever prize was at stake. I was wearing my old navy blue United Church of Christ shirt. I needed to find another one. Sure, it was vintage, but was I really going to wear a church shirt for this performance, especially one with a mysterious eggshell-colored stain on it that had never come out in the wash over the years? 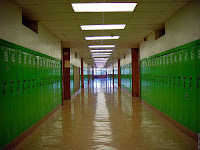 I roamed the halls wondering where I could find another shirt to wear, conscious of how much time I had left. I'd pass other classrooms and catch glimpses of others setting up or tearing down, never actually playing. As I walked, I found myself wondering what would happen if I won. Would I get the ability to record, or to tour? It's one song. I play music as a hobby and don't know nearly as much about theory as I should for something like this. I just like to play. I woke up before I could find another shirt, let alone play my song. But I think I found something anyway.